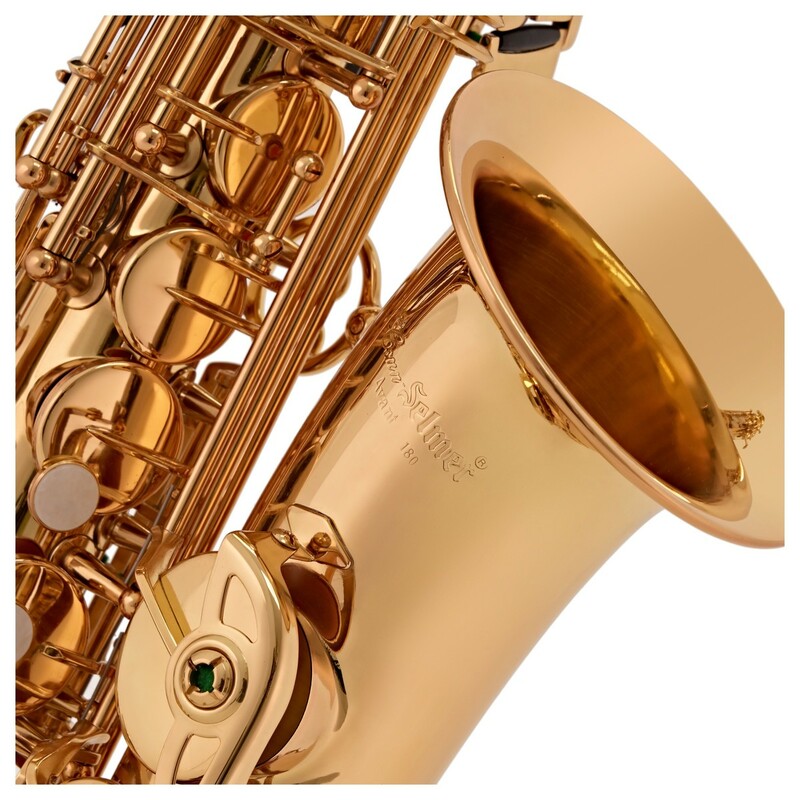 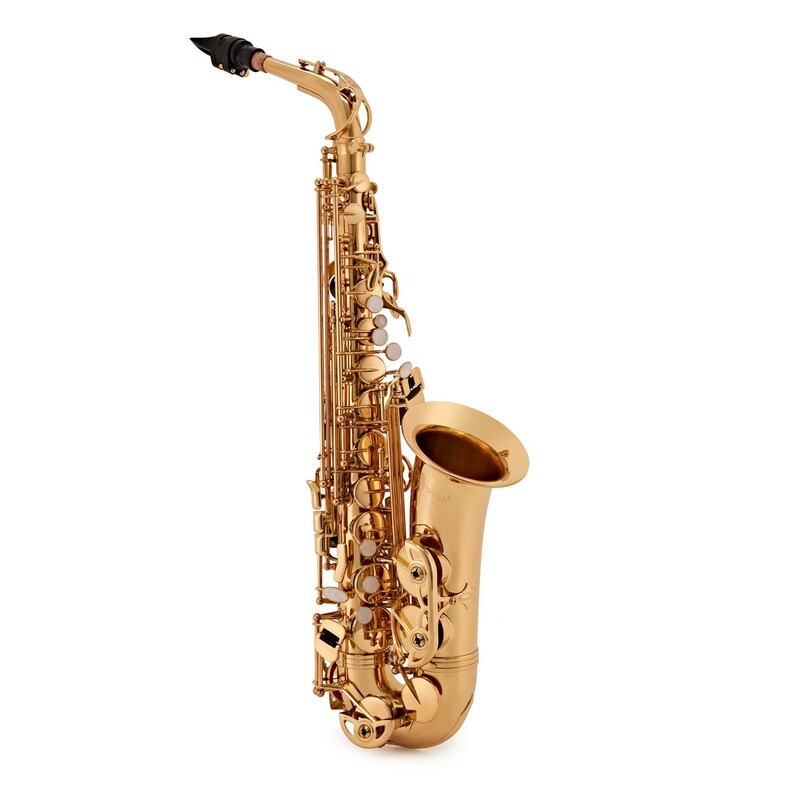 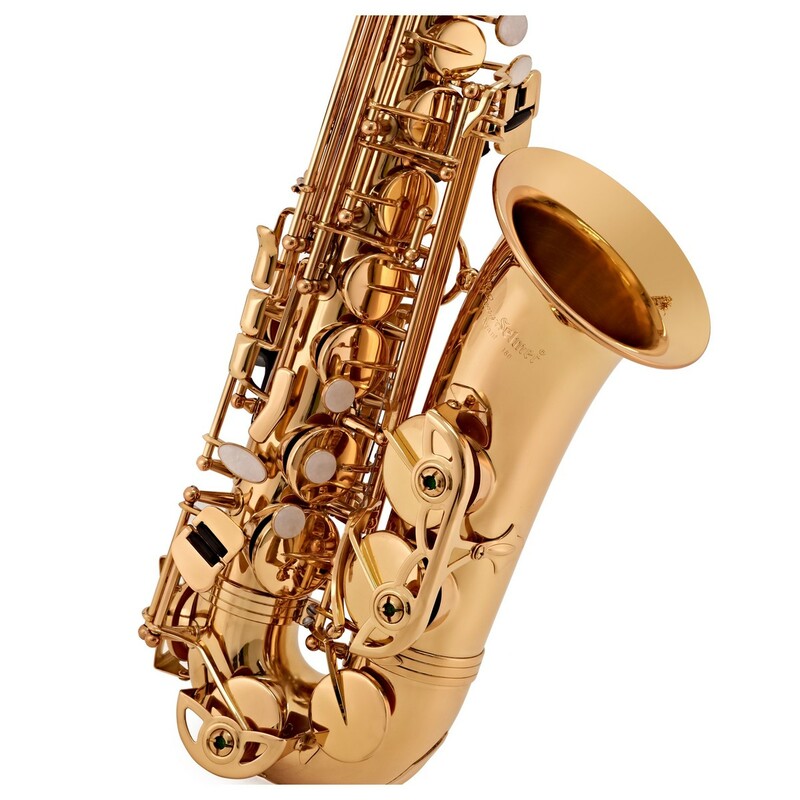 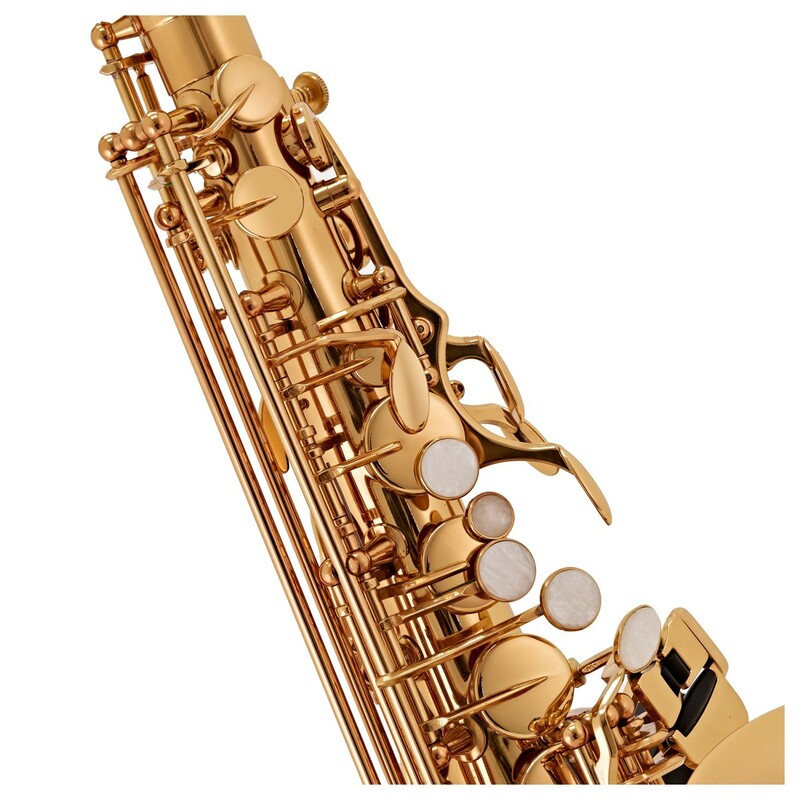 This saxophone is hailed as one of the best student saxophones available, boasting wonderful intonation, a glorious tone and an easy instrument to play. 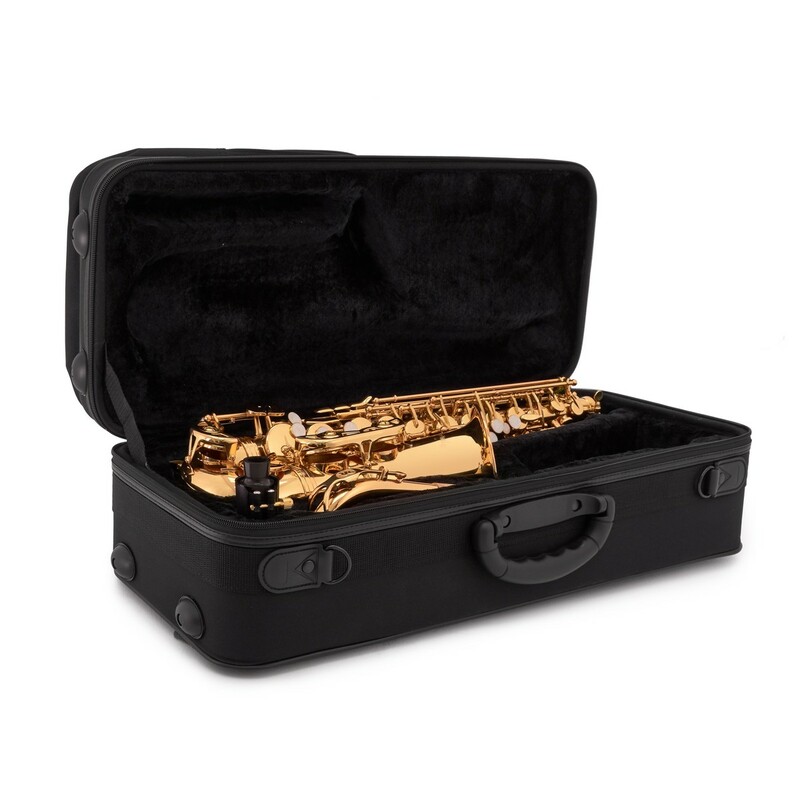 Included with the saxophone is a mouthpiece and ligature making it so that it is playable straight out of the box. 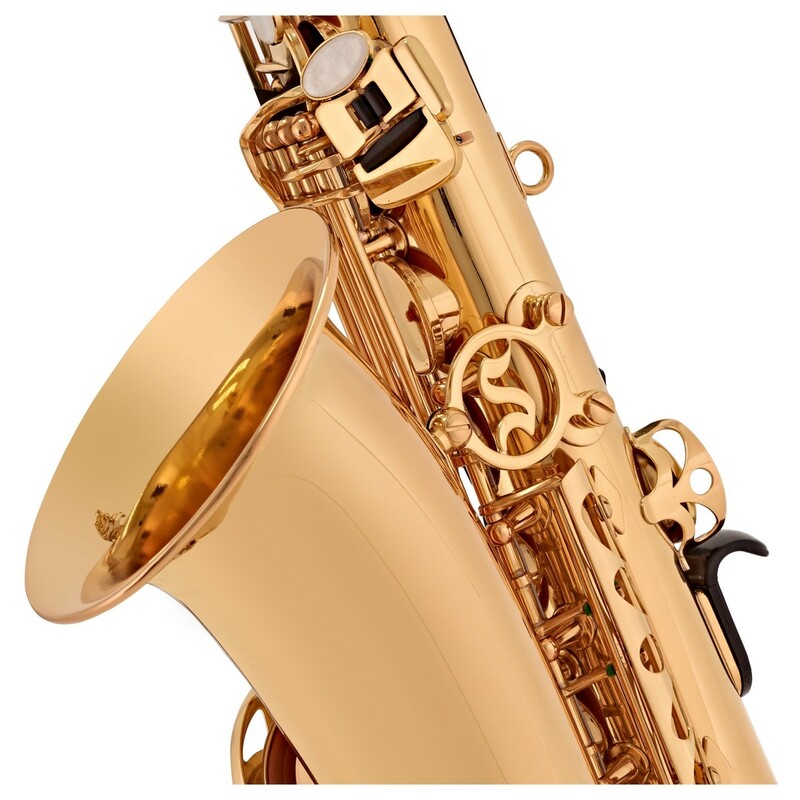 This yellow brass bodied saxophone has been ribbed with a reinforced bell section to give strength to the instrument. 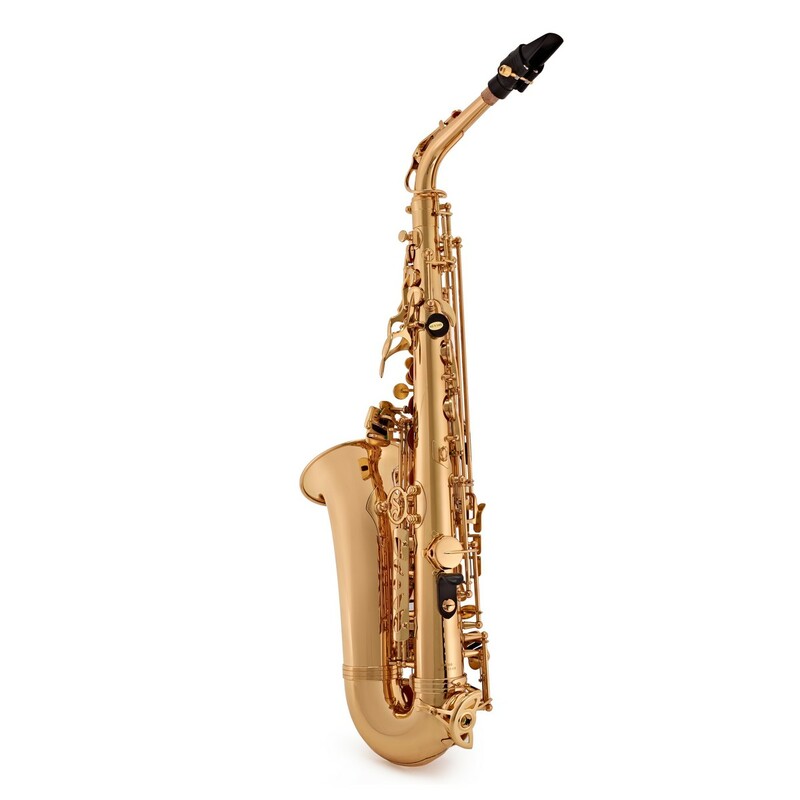 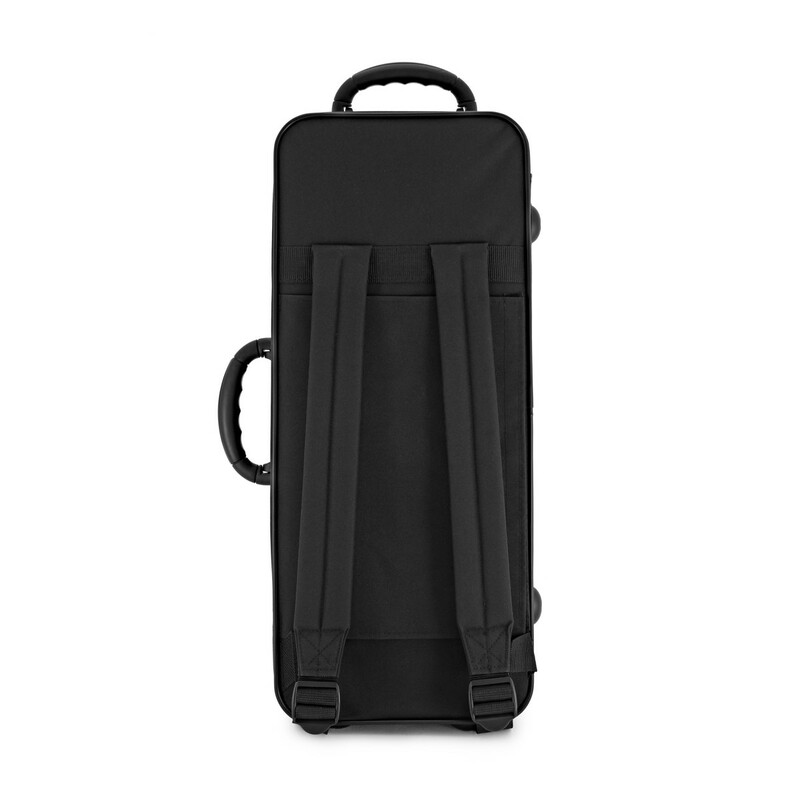 This in turn gives a more resonant sound, which is very helpful for beginner saxophonists. 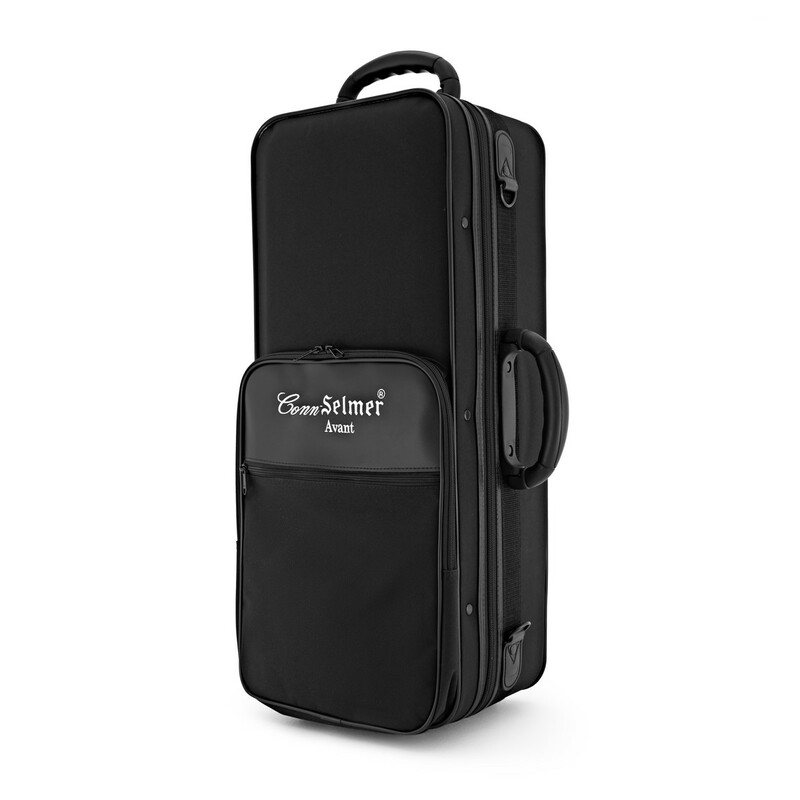 Leather pads and metal resonators give a huge sound and a great seal, making it great for beginners to help produce a great tone. 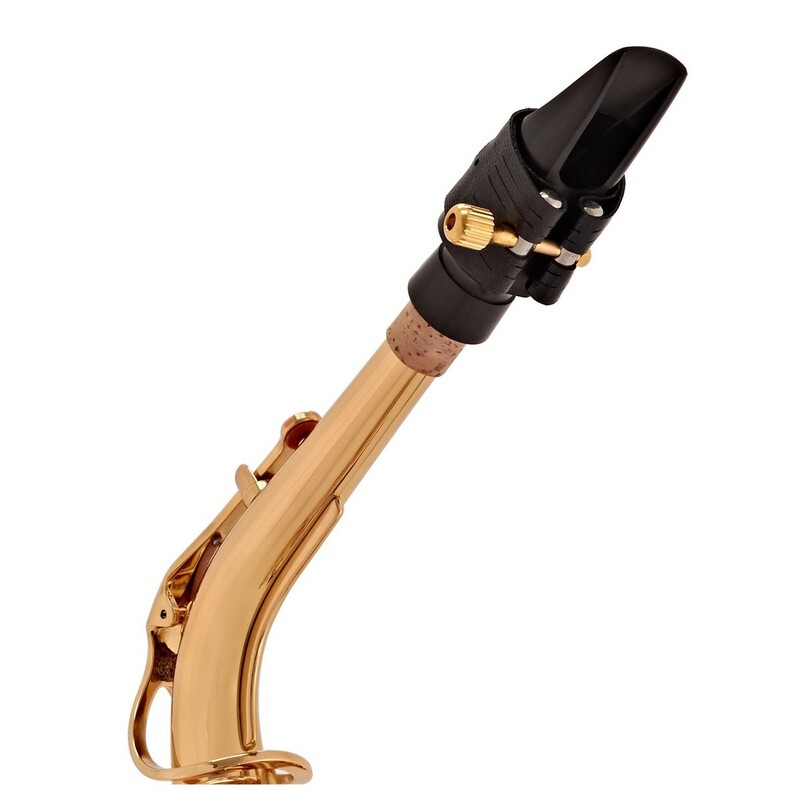 The thumb rest is also adjustable, allowing small hands to reach all the desired notes for saxophonists.